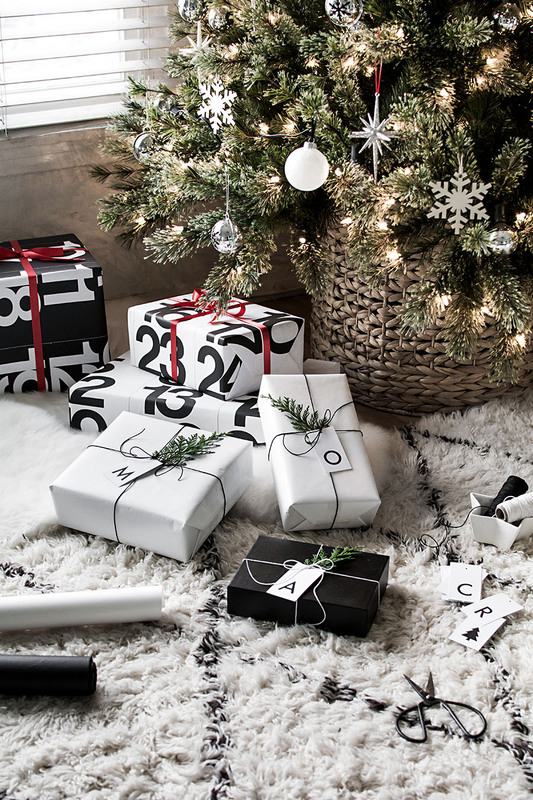 I care as much about the wrapping as I do about the gift I’m giving, so I consider the details everything. 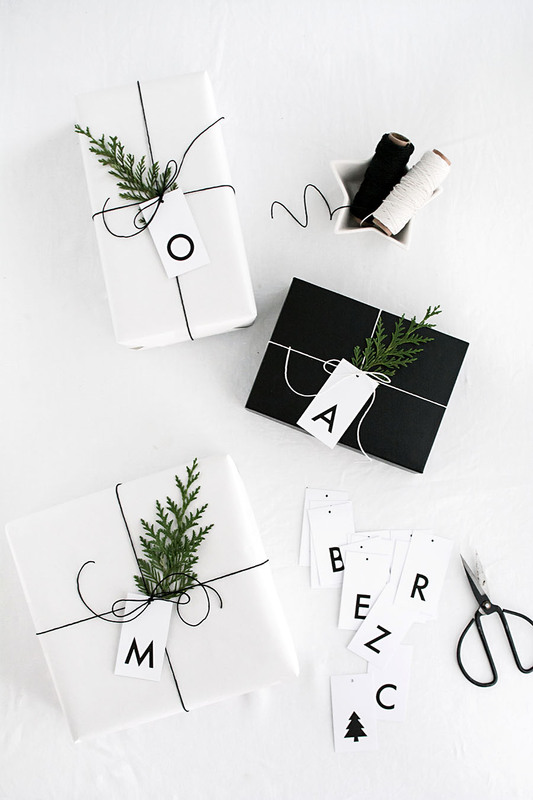 It can be as simple as adding a gift tag, which is not only useful for knowing which gift is for who but contributes greatly to how cool the wrapping looks. 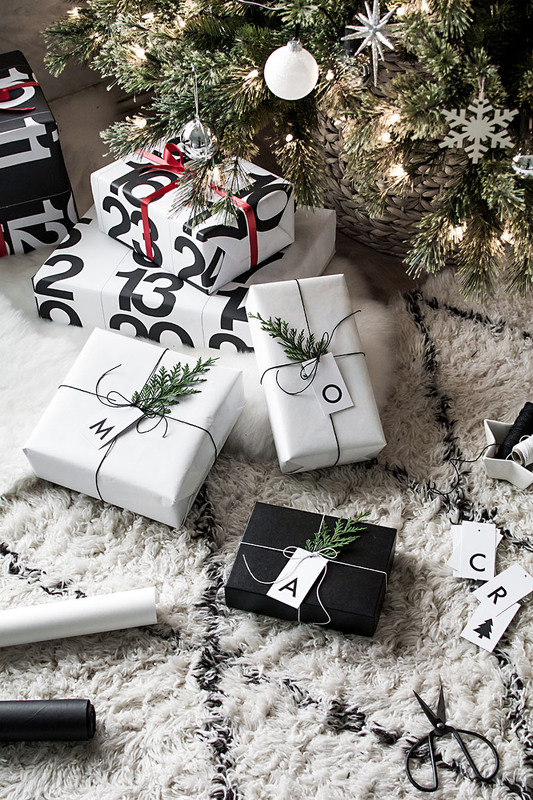 Taking that utility as inspiration, I partnered with Canon to make these printable minimal initial gift tags as a simple way to help personalize your gift wrapping while making it even more beautiful. Download any letters you need at the end of the post! I printed the gift tags on card stock with my Canon TS8020 printer. This printer is by far the most useful tool I have and it still impresses me every time how compact it is for all its versatility. 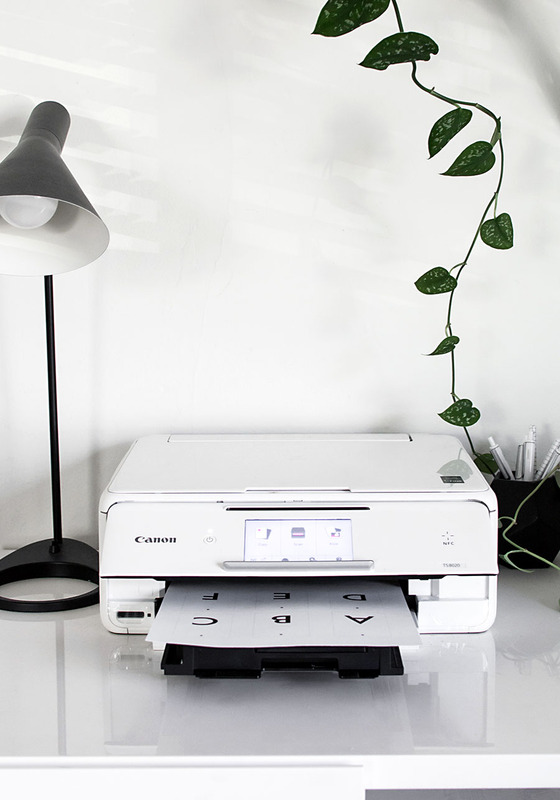 It prints quickly and handles different paper weights like a champ. 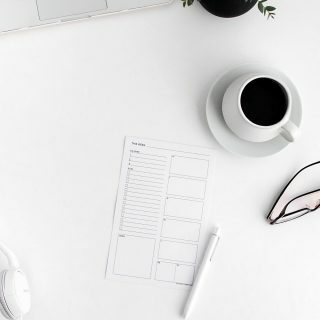 You can definitely go thicker on the card stock if you want your tags to be less flexible, and this printer has a rear tray that can handle feeding through that heavier paper. Punch a hole where the circle is at the top of each tag in a size slightly larger than the thickness of the string you’re using. For a thicker ribbon, try taping the top of the gift tag underneath the knot of the bow if you want it to look like it’s strung into the bow. 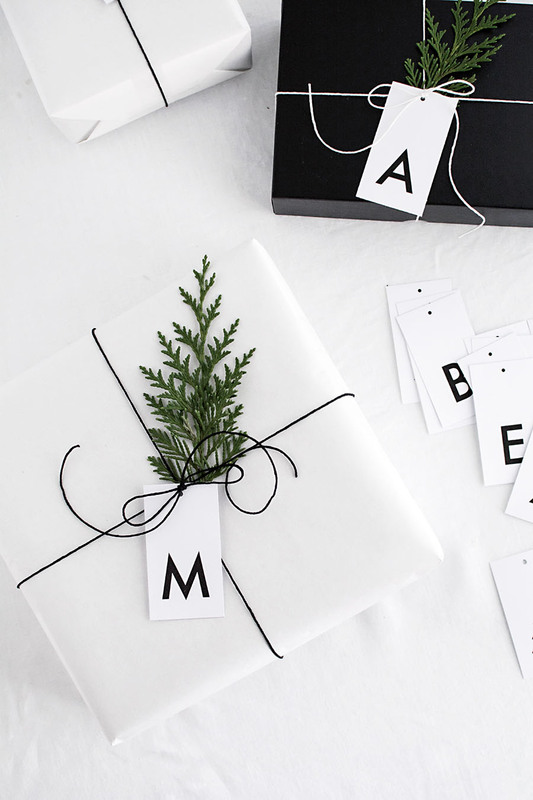 Tuck in mini branches of winter greens behind the gift tags for a gorgeously simple finishing detail. You can get creative here with what you tuck in, maybe a flower or tie on a mini ornament, or you can tuck in nothing and keep it very minimal which I’m a fan of too. Also, see if you might want to print these on different colored paper (that the black letters will show up on) to make these even more your own or to better match your plans for wrapping colors/designs. I’d definitely want to print more of these on kraft or light gray card stock. 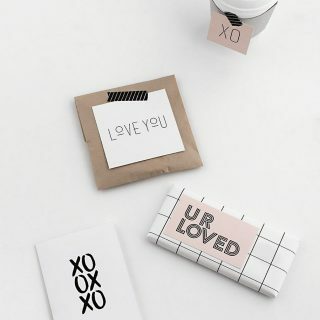 With the minimal design of these gift tags comes the versatility of using them for any occasion, which I hope you’ll be able to use them at any time if not at least for this holiday season. 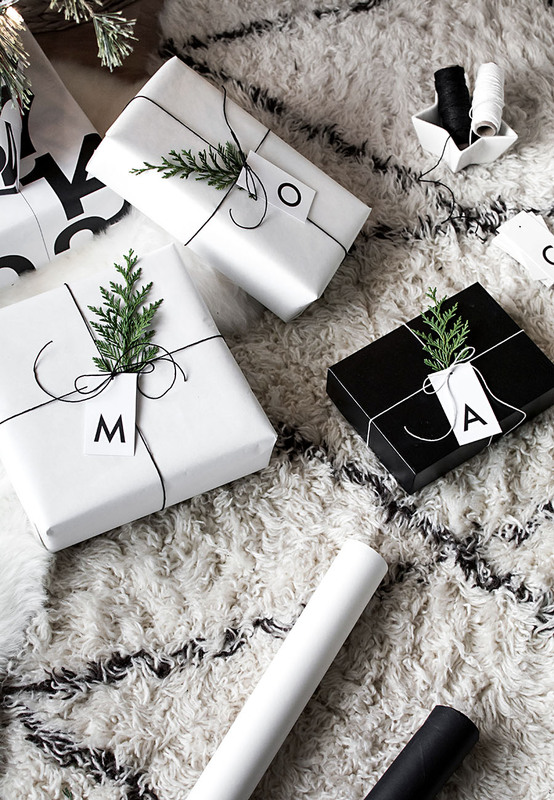 So see which letters you need for the people on your holiday gift list, or save this for next time you want to add a personal touch to your gift wrapping! This post is sponsored by Canon. All words and content are always my own. Thank you for supporting partners that help bring fun ideas for you to discover and try! Love the simplicity, they’re very stylish! Wow! So gorgeous!!!! 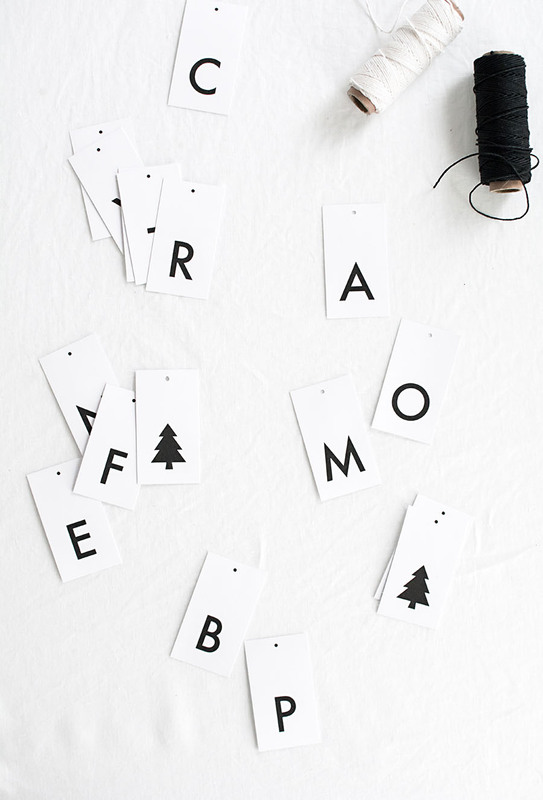 I love these Letter tags and I just shared it on my Insta Account :-) Wishing you a merry Christmas! We’re a couple of days past Christmas already, but I still have some gifts to give this next week and this idea is great!